The Broker’s Report has been a widely read and popular report on the RE/MAX of Mammoth website. The goal has been to provide no-nonsense, no hype reporting on the trends affecting the Mammoth real estate market. Now more than ever is a time to watch the macro and micro trends in the market. 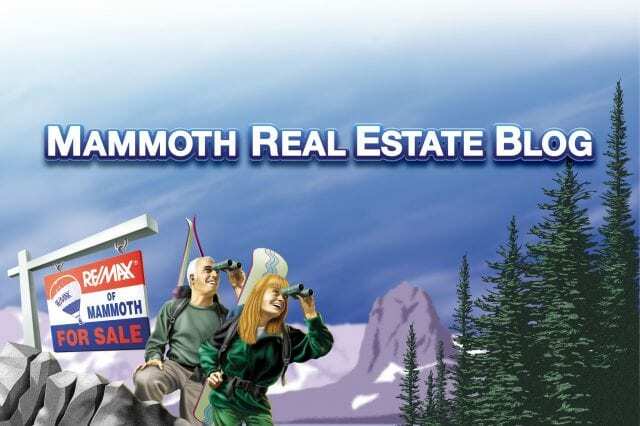 March 24–In the past few years, the late-winter/early-spring real estate market in Mammoth has evolved into a period of solid activity. 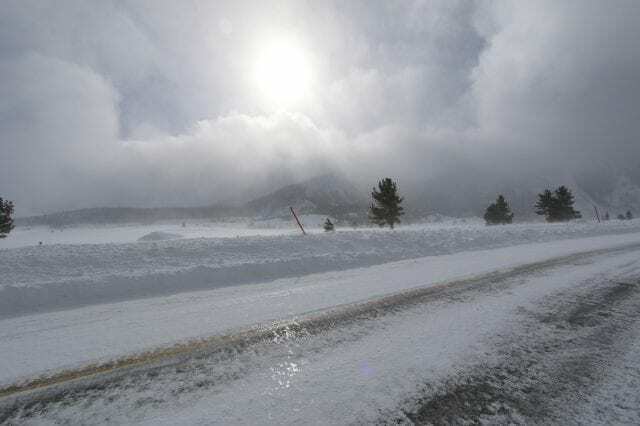 Empirically, it is a time when families from southern California come to Mammoth when the kids are out of school for a week at a time—and not all at the same time (thanks to the “tracks” of different school districts). These families are not in “weekend warrior” mode—rushing in to town to recreate and party and rushing out to get home and back to their hectic lives. The extended, more relaxed stay allows mom and dad some time to spend exploring the local real estate market. And combined with some good time on the Mountain and some quality family time, real estate transactions tend to accelerate. Real estate activity in Mammoth is always a function of people (visitors) in town—the more guests the more interest. With the Mountain in good, but not epic, condition and those classic late-winter/early-spring potential buyers roaming around town, we are beginning to get a glimpse of what the near future of our local real estate market is likely to be. But before I get into that, let me give a couple of insights that became very clear to me these past weeks working with buyers. First, many potential buyers still haven’t grasped the concept of very limited privately owned land in Mammoth Lakes and Mono County. I’ve talked about this for years but the fact remains that Mono County is 95% government owned and that there is actually more land converting back to public ownership than converting to private ownership. Forest Service policy and powerful environmental groups like the Sierra Club (and their attorneys) will see to it that it remains that way. The less than 4 square miles of Mammoth will remain an island of privately owned land. Second, and a definite sign of the times, working with buyers who are in town who are emailing the listings they want to see—and referencing the local MLS number! They’re out driving around with their GPS and shopping local real estate. They are looking online back at their accommodations or a local wireless hotspot at local MLS data. These buyers are far more educated about the market and what is available–far more than ever before. And more than ever before they need the help of a knowledgeable and experienced agent because their questions are more advanced. So is their confusion. Like I have said many times. Mammoth may be a relatively small town but there exists a myriad of variables. This trend also confirms the slow death, and diminished value, of print advertising as the key marketing tool for our industry. So what glimpse of the future do we see in the existing market activity? Well, no surprises really. The trends of the past months continue. Buyers have a greatly reduced sense of urgency, except in the segments where scarcity and demand still exist. Where does the scarcity and demand exist? I don’t know if people are reading my reports or I have it figured out, but the demand remains in the single-family market under the $2 million range and properties in proximity to Chair 15/Eagle Express. Homes priced in the $800,000 to $1M range are the hottest, especially if they are in good condition or have good locations. There are plenty of compromised properties in this price range–poor condition or locations, or simply not appealing to the second homeowner. Or sellers with expectations that are simply beyond what the market will bear. They’re sitting. When sellers bring well-presented and well-priced properties to the market, they usually sell quickly. Quality residential properties in the $1M-$2M also have a good chance of selling. They look like great values compared to condominiums in the same price range. What is creating urgency for the buyers who are buying? First, buyers who stay focused on a particular segment of the market where there is scarcity and demand eventually come to the realization that the imbalance is unlikely to change, and they become more motivated to tie-up a property. Second, their desire to make the lifestyle change that having a property in Mammoth will create becomes a higher priority. For many boomers the clock is ticking. Foreclosures remain a non-issue. (See my March Q&A for that story.) The sub-prime fiasco does not apply to Mammoth–think South Central or Palmdale. Interest rates remain excellent. Inventory remains stable (scrub the data and inventory is actually low). The Airport saga continues but there is so much money at stake by the new development entities that I can’t see it not coming to resolution. The Town and developers continue to debate Developer Impact Fees (DIF). None of the major developers will move forward until that is resolved. But general economics are likely to dictate that more than anything. (The Airport and management have now become major obstacles to selling new condo hotel developments.) The almost nauseating efforts to sell fractional properties continues–including new sales teams, new methods, new incentives, etc. And already the newly sold interests are showing back up in the MLS as re-sales. Buying fractional interests on speculation? Take my advice, buy lotto. Re-sales at the Westin are starting to show up now. That will be interesting to watch, but that building seems to be taking forever to build. If there is a condo hotel product worth owning it should be the Westin. Promises promises. One segment of the market that is interesting to watch is Snowcreek Phase 5. For years this was one of the most popular and hottest selling areas in Mammoth. It is a large project divided into two homeowners association. The project area is nestled up against the base of the Sherwins and is adjacent to the Snowcreek golf course. There are a variety of popular floor plans within the development, most with great views. The entire project was completed over a 10-year plus time frame. Now the project appears to be highly stigmatized by a broad mold/fungal issue that has been complicated by a convolution of circumstances. Both associations were compelled to handle the matters differently (mostly based on age), and the insurance companies are involved, attorneys, etc. The associations are handling the mold (non-toxic from all reports) issues that were likely a result of several compounding factors–the meadow-like nature of the building site, some construction mistakes, perhaps some poor design for the site, perhaps over-watering of the lush landscape, etc. The owners have been special assessed for remediation and administration. Someday the associations may recover significant sums for all of this. But in the meantime the lack of sales activity has brought asking prices down and there are clearly some motivated sellers. And these properties could be excellent values now or in the near future. In real estate, like life, problems are often opportunities in disguise. One development that will start this summer is the long awaited reconstruction of Lake Mary Road from town all the way to Horseshoe Lake including the construction of a separate bike/pedestrian trial. It may take three summers to complete, but it will be worth it. Throw in public transportation to the Lakes Basin and it gets even better. The winter of 2006-07 will certainly go down as a drought winter. But after the two previous winters it was bound to happen, and in some ways much needed. It will be nice to have a spring (fingers crossed) and not be paying snow removal bills well into summer. Foreclosures are found in south central and palmdale? What a racist remark. Foreclosures are found everywhere including mammoth. give me a break. most of the foreclosures today are the result of liar loans – white collar crime. The reference was to subprime lending AND CERTAINLY NOT RACIST!! Read the follwing article and educate yourself. Risky subprime loans account for at least a fifth of all mortgages issued in nearly 30 Los Angeles County ZIP codes over the past two years, and for at least 10 percent of loans in another 107 neighborhoods, according to a Business Journal analysis of house and condo sales data. The fear is that a high concentration of subprime loans in any neighborhood may lead to a high incidence of defaults, which likely would lead to drooping home prices in that neighborhood. What’s more, a crackdown on subprime lending means the pool of buyers for such homes would likely dry up. If home owners are unable to move up, the deleterious effect could spread to higher-income neighborhoods. Christopher Thornberg, a former UCLA economist who has long predicted that Los Angeles was in the midst of an unsustainable run-up in real estate prices, said the figures show that a price correction could be widespread. In fact, the review turned up surprising numbers of subprime loans in working class and middle-income neighborhoods across the county. ZIP codes with at least 10 percent subprime penetration amount to just about half of all residential neighborhoods in the county, spanning from Whittier to Pasadena to Woodland Hills. At least 13 percent of all loans issued countywide for the last two years fall into the subprime category. The loans are generally issued to buyers with spotty credit history, an inability to document their income or little money to make a down payment. Subprime loans have traditionally accounted for only about 5 percent of all mortgages, but that figure is increasing. Already, Los Angeles County defaults more than doubled in the fourth quarter of 2006, with 7,445 defaults compared to 3,480 a year earlier, according to DataQuick Information Systems. The Business Journal analysis was conducted on 2005 and 2006 data provided by HomeData Corp., a Melville, N.Y. company that tracks housing data nationwide. It captured loans issued by prominent local subprime lenders, such as Fremont Investments & Loans, WMC Mortgage and New Century Financial Corp., the failing Orange County lender that has seen a surge of defaults. However, it did not capture subprime loans issued by large institutions such as Countrywide Financial Corp. of Calabasas and Wells Fargo & Co., which are players in the subprime market but don’t have subprime subsidiaries that report such loans to regulatory agencies. As such, the analysis is a slightly understated representation of the penetration of subprime loans, at least in some neighborhoods. The data does however bring into sharp focus how subprime loans are concentrated in lower-income areas. The Willowbrook neighborhood with the highest concentration of subprime loans, the 90059 ZIP code, had 319 such loans issued over the past two years. That’s more than all the ZIP codes in Santa Monica, Beverly Hills, Malibu, Bel-Air, Palos Verdes, Pacific Palisades, San Marino and Manhattan Beach combined. Seven of the top 10 neighborhoods were in the South Central Los Angeles area. But in absolute numbers, two neighborhoods in Palmdale and Lancaster – communities with lower priced homes that often attract first time home buyers – had the greatest number of subprime loans. Palmdale’s 93550 ZIP code had 852, accounting for 22 percent of loans; Lancaster’s 93535 ZIP code had 817, also accounting for 22 percent. On the other hand, one ZIP code in Santa Monica, 90401, had none. Another ZIP code in L.A., 90071, an upscale condominium neighborhood downtown, also had none.